The candidate has to work on the development & enhancement of Robot Controller.The main responsibilites include developing & maintaining the interface to the real-time operating system. The job involves understanding requirements ( & bugs), drafting design documents and implementing the same using c/c++. Knowledge of scripting language i.e. Python is mandatory. 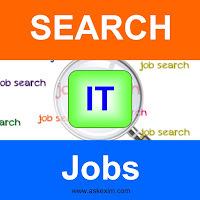 Proficient in STL, Multithreading, Data structures, unit testing frameworks, XML. Also, the profile includes provide inputs for product documentation and test teams. Software design and programming is an essential skill. Good understanding of http.